VMware released several e-books all about NSX. If you have soem free time I strongly suggest to have a look at those because the content is just amazing. VMware NSX Micro-segmentation – Day 1 offers guidance to security architects and practitioners planning to implement NSX for additional security and visibility through micro-segmentation. 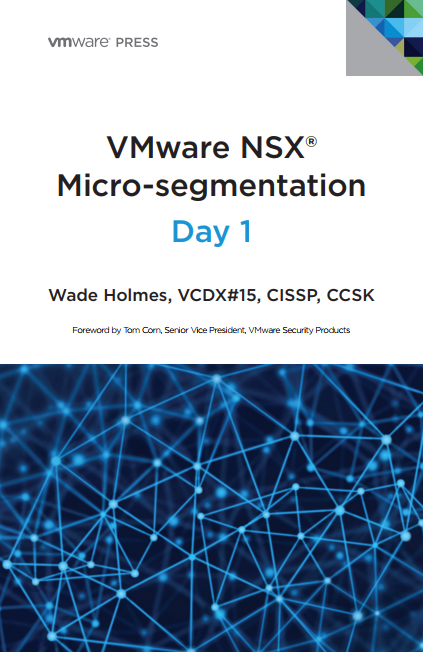 VMware NSX Micro-segmentation – Day 1 provides the information needed to plan a security strategy around microsegmentation using VMware NSX. This includes guidance to plan, design, and implement security policy utilizing micro-segmentation. 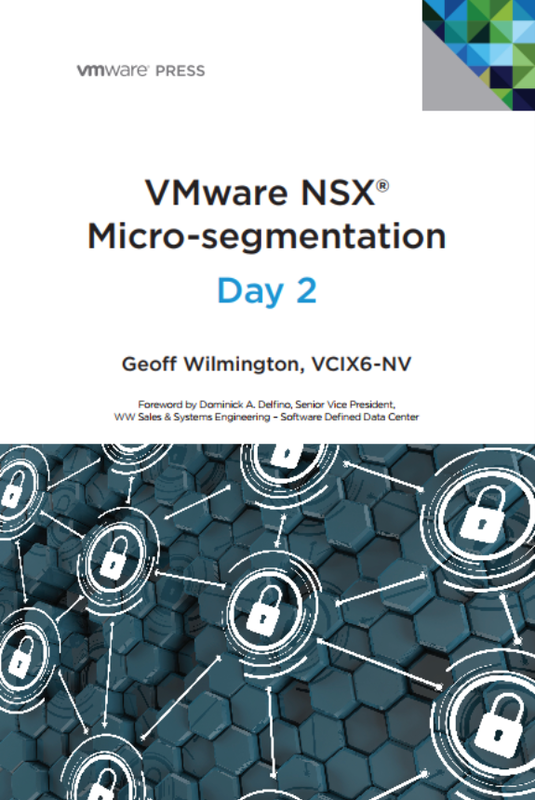 VMware NSX Micro-segmentation – Day 2 is a guide designed to help organizations understand how to operationalize micro-segmentation in their environments. VMware NSX Micro-segmentation – Day 2 provides a primer on leveraging tools – VMware vRealize® Log Insight™, Application Rule Manager, and VMware vRealize® Network Insight™ – to build rulesets necessary to facilitate micro-segmentation. 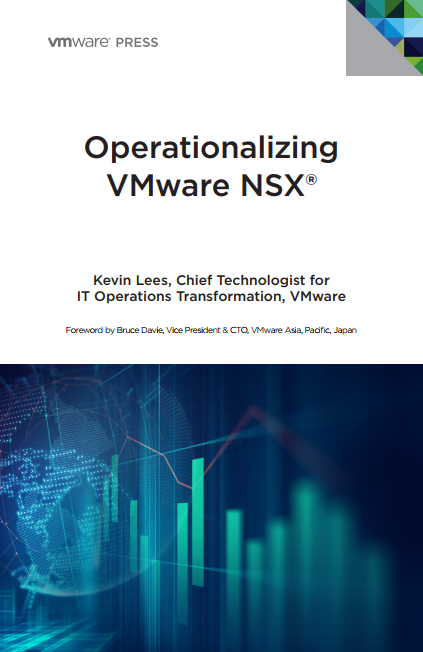 Operationalizing VMware NSX® offers guidance to management-level decision makers and influencers concerned with the impact of VMware NSX on their organization, staff, and operational processes. It also speaks to engineers and technical decision makers responsible for optimizing operational tooling in a VMware NSX environment. Operationalizing VMware NSX provides the information needed to optimize the on-going operations of a VMware NSX environment. Specific areas examined include the critical aspects of team structure, culture, roles, responsibilities, and skillsets. Additional guidance is provided for operational processes, monitoring, and troubleshooting in a VMware NSX environment.